will be on show from 24 March - 30 April at Solander Gallery in Wellington. Opening event is on Wednesday 23 March from 5.00-7.30pm. 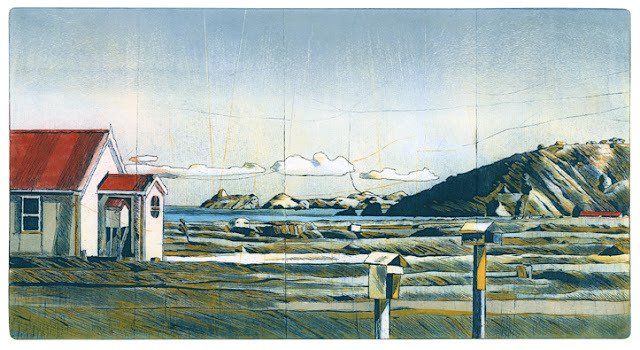 Stanley Palmer is a significant New Zealand printmaker and painter. from screenprints on linen to his pioneering bamboo engravings. and the way they conveying much more than topographical information.